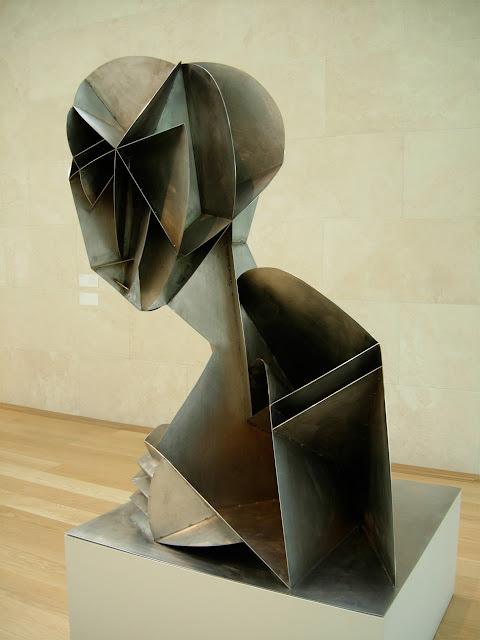 Russian-born American sculptor Naum Gabo (1890-1977) was a pioneer of the Russian Constructivist art movement. His work utilized what is known as "stereometric construction," by which form is achieved through the description of space rather than mass. In explaining the method he once stated, "We take four planes and we construct with them the same volume as four tons of mass." He felt his Head No. 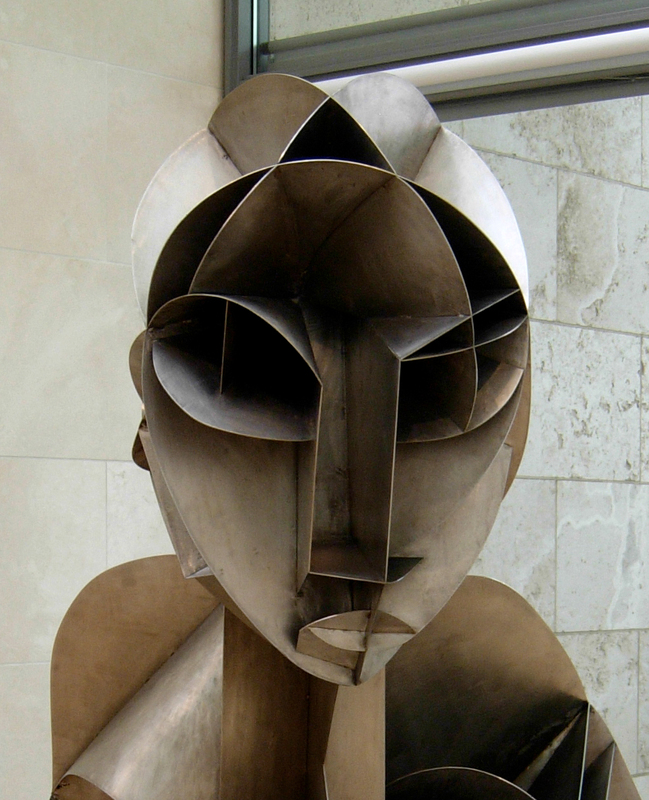 2 sculpture created in 1916 (pictured below), was his first masterpiece and I would have to agree; the piece is mesmerizing. Gabo produced several versions of the Head No. 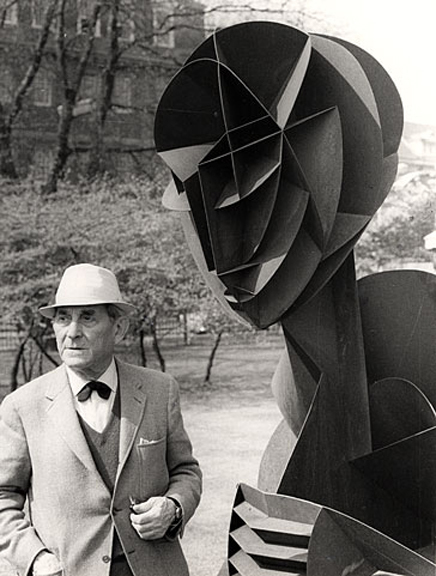 2 sculpture. 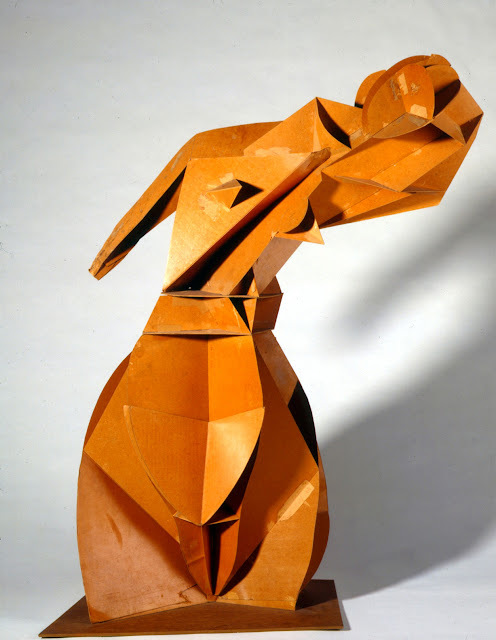 The maquette study was created from cardboard in 1916 and measured 44.5 cm tall. 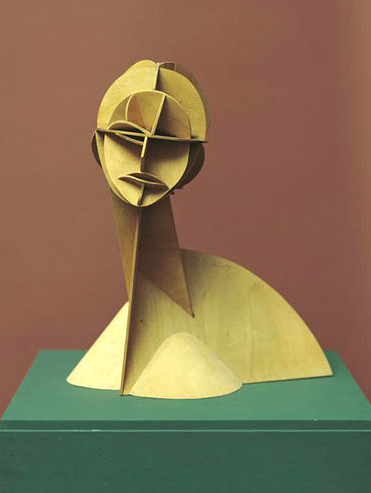 The original Head No. 2 sculpture was constructed from galvanized iron and painted yellow ochre and was 45 cm tall. He also produced a version in ivory colored Rhodoid plastic around 1923, which measured 43 cm tall. See images of these versions below. It wasn't until 1966 that the first of four enlarged versions were produced with the help of his assistant Charles Wilson. The first photo in this post is of an enlarged copy in the Tate Museum; this piece was constructed from weathering steel and measures 69 x 52.75 x 48.25 in. 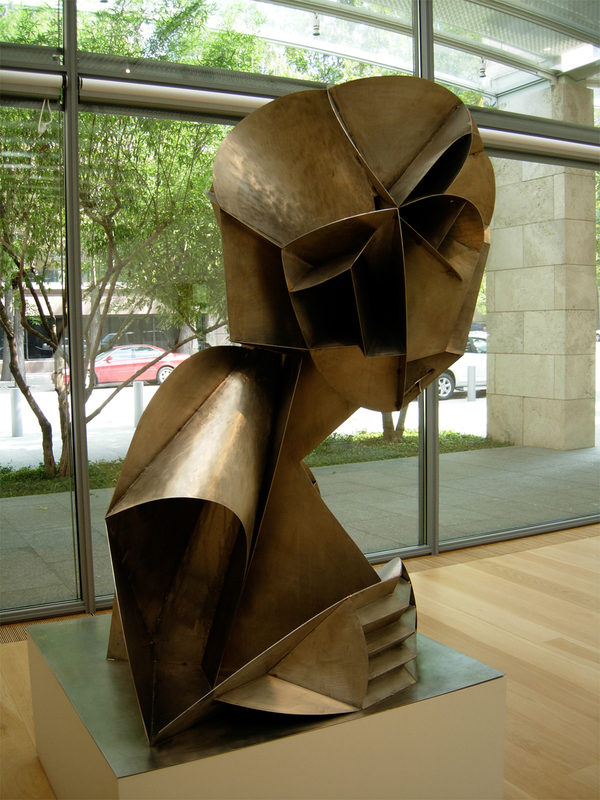 The series of color photos above are of the version in the Nasher Sculpture Center, which was produced with stainless steel in 1975 and measures 70 x 54.25 x 48 in. 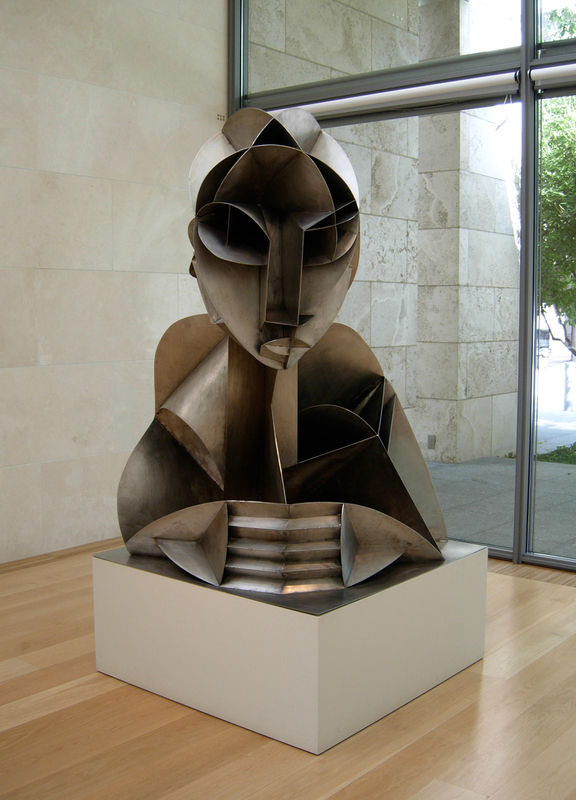 Images of the Nasher Sculpture Center piece are by Jeff Stvan. 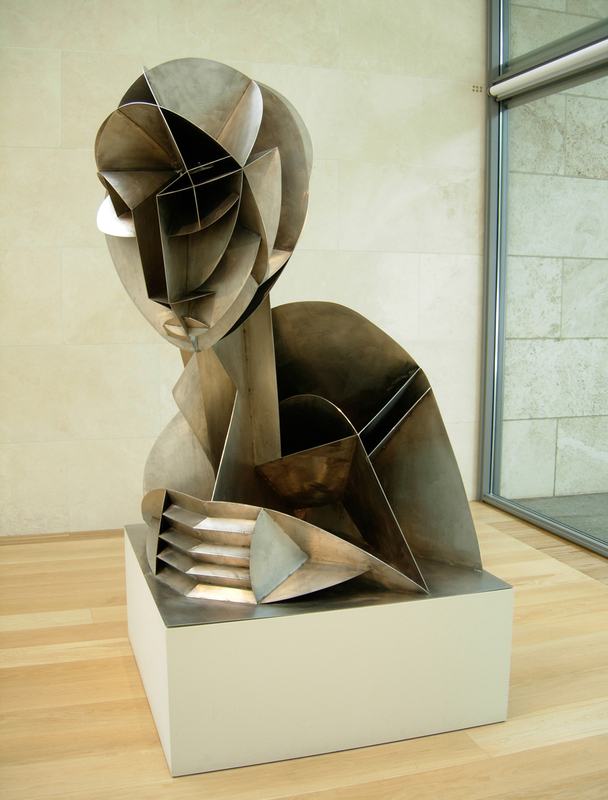 The following are a couple other sculptures produced by Naum Gabo. 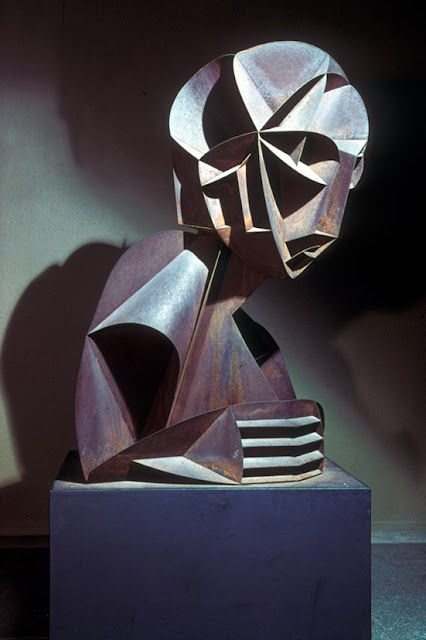 Constructed Torso, c. 1916-17, galvanized iron, 54" tall. Whereabouts of this piece is unknown. Go to- Answers.com page on Gabo; lots of biographical info here. 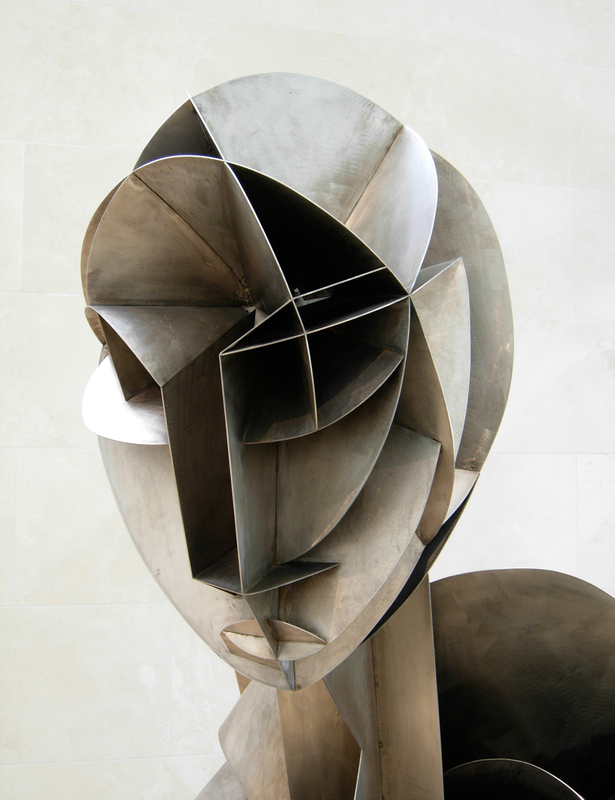 Go to- Article about Gabo's work from the Tate. Go to- Tate's collection of Gabo's work- many other pieces from him here. 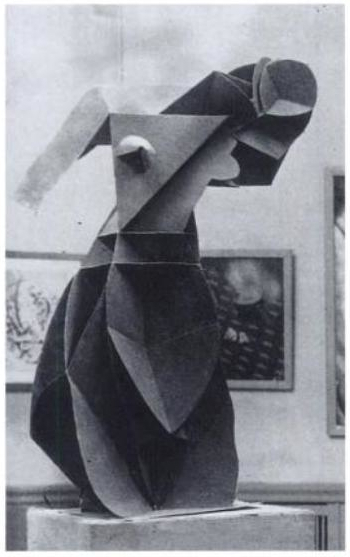 Go to- Google Books to see a book titled Constructing Modernity about his career. It is a "partial view" only, but there is tons of information and images available.